This book has so much to offer everyone regardless of your business, where you are in life, or your age. It is non-discriminatory on all of these areas. Whether you are competing in the business world, trying to get along and have relationships with people in this world, or just trying to win friends and influence people, the Art of War has so many great quotes and I think it’s really a valuable resource when it comes to marketing and knowing your competition. You can’t compete if you have no idea what your competitors are doing. I have clients tell me, “what’s so and so doing? They are ahead of me!” And I know that’s frustrating but instead of spinning our wheels trying to figure out how to get ahead, we look at what they are doing. I’ve written real estate articles about pricing a home and we can’t correctly price a home if we have no idea the value of similar homes. We must check out the competition, I mean, this is what appraisers do all day long, why should marketing competitively be any different? For this reason, we can’t just randomly check out what another competitor is doing; we must have the tools for it. We use RavenTools for our data collection but recently started using Spyfu.com. This comprehensive program breaks down all the SEO tactics of competitors, including our clients and compares where our clients may be falling behind. While we may not be able to get every high-quality backlink that our competitors have, we can find out WHY they are ranking higher and then go after BETTER backlinks and phrases. We can find where THEY are getting their traffic, either organic or PPC and tailor our marketing strategy to do better, be better, and get better results than our competitors. Plan, strategize, put into action what you are going to do. Don’t spin your wheels and hope something happens. You can’t just throw a thousand pebbles into the water and hope something works. Make one big boulder and make it count at the right spot. Don’t waste your words and articles on thin content sites. Don’t guest blog on stupid sites. Do what works, but first, KNOW what works. And that’s why knowing your competition is so vital. Backlinks – Where do they have a backlink? MOZ.com can offer a few of these ideas but only 3 a day. Spyfu.com lets you examine all the links from a competitor. You should also know where those backlinks are coming from – organic or PPC. Organic means that the keywords are coming from a site that was manually put together and links back to the site. PPC means pay per click and is for paid keywords. What’s working? Spyfu tells you what pages just made it to the first page of Google and which ones dropped off. This is important to know as you can mimic those that are making it to the first page and correct those that don’t. Types of backlinks – Sometimes, 1 great backlink can count for 1,000 mediocre ones. Check where their backlinks are coming from and try and mimic it. For real estate, I have found that the most high-quality backlinks have come from news sources proclaiming a high-profile listing. For instance, our Mirasol Country Club Real Estate Client competes with an agent that listed Serena Williams home in Florida. The article was picked up by the New York Observer, read by over 5 million people. That’s a high-quality link! Hard to compete if you’re not listing those types of properties. But certainly something to at least KNOW and strive for. Heavy content – authoritative content – always refreshing. You may not be able to acquire one of these backlinks but you can make a name for yourself in a niche market. More than simply creating a city or community page (or product page or whatever you’re selling) constantly link to it, refresh it with new images and content, and add to it. Pretty soon, that one page will be the authoritative end-all for whatever is on it. Use all sources of media. Don’t just stop at text; use videos, images, rich snippets for Google, reviews, AND content. Use social media, engage, distribute, link to and regurgitate great information. Every post should have a varied form of media on it. People should be able to share, redistribute, and comment on posts and pages. Our Cash Home Buyer in Stockton not only has his keywords in his domain (which is okay if that’s really what it’s about) but he talks on video and audio posts, writes content and always links to related information even if it’s not his own. Beyond SEO – You can use all the SEO tactics in the world, but if when the client gets there, they are confused, disappointed, or instantly click away, you won’t get a lead. Time on site is imperative. It’s called “Dwell Time” and Google monitors how long a person stays on your site. The site should be clean, clear, attractive, and offer not only additional information but calls to action. Break up the text with headings and images. People want to be entertained and if you don’t catch that lead in the first 5 seconds, they are already clicking away. Don’t let them get away! Our Miami Realtor client just updated his site to reflect his high-end clientele and has a wealth of different media and well-spaced out content on his homepage. 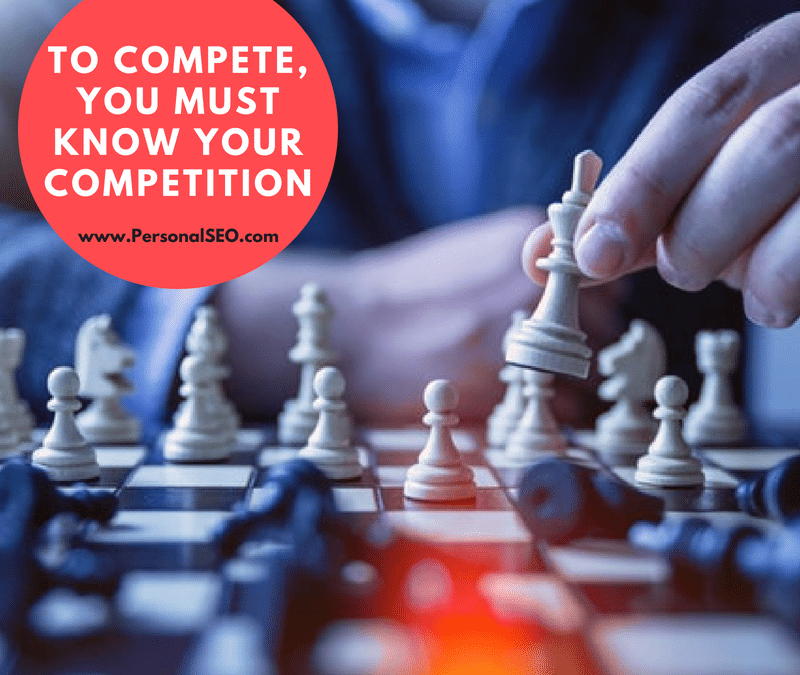 So, bottom line – know what your competitors are doing so you can excel at their own game. Want help optimizing your site? Need more leads? Tim and Tammy Emineth have been helping clients including real estate professionals, get more traffic to their website, increase leads and optimize high-quality websites since 2004.